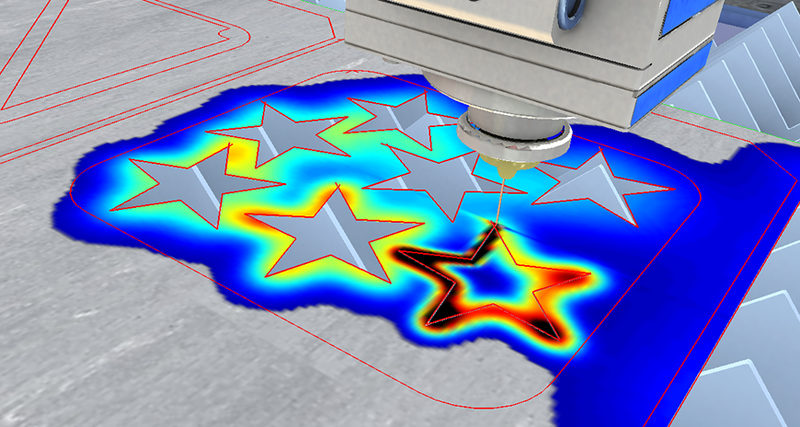 By simulating the sheet metal cutting process, it is possible to anticipate and detect possible unforeseen anomalies in the layout phase. Since the BeroSim program is virtual, testing isn’t done on the laser or plasma cutting machines. This saves precious machine time, materials and energy plus minimizes the risk of possible breakdowns or workplace accidents. "Digital transformation has become a key aspect in the industrial sector, which needs advanced technological solutions that provide added value, something that is only possible with research and innovation," explains Dr. Iñigo Barandiaran, Head of Vicomtech’s Department of Industry and Advanced Manufacturing. "The industrial sector must continue to be an economic engine and guarantor of stable employment, and this will be achieved with the help of technology." 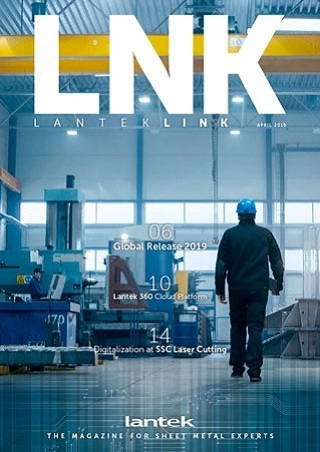 "With BeroSim, we assist the change process and the modernization of the sheet metal machining, simulation and verification sector," states Susana García, head of CAD/CAM systems development at Lantek. "BeroSim provides a set of innovative capabilities for greater efficiency in production processes, which enables the optimization of both material, human and economic resources." The technological cooperation between Lantek and Vicomtech complements their innovation efforts for the industrial sector. The BeroSim project reinforces Lantek’s position as a worldwide innovation leader. The Lantek Expert product offers highly differentiating features in a very competitive and mature market. At the same time, it supports Vicomtech’s role as a promoter and driver of applied research and as a facilitator for the development of new product prototypes. The BeroSim project has been recognized as a scientific breakthrough by the prestigious Journal of Manufacturing Science and Engineering which published an article regarding the research performed by Lantek and Vicomtech for interactive 3D simulation of the influence of heat during sheet metal cutting processes. "Understanding how heat sources affect sheet metal cutting processes is essential to designing efficient simulation tools. The success of BeroSim is a consequence of the fluid relationship between Lantek and Vicomtech,” added Dr. Aitor Moreno, Vicomtech researcher and expert in industrial process simulation techniques. plasma, oxycut waterjet, shearing and punching). All of its activities are regulated by the R&D&I management system, activities such as the continuous improvement of results and its measurement, the optimization of technological innovation processes, as well as the transfer and generation of knowledge, thus ensuring that it always uses high quality methodologies. Vicomtech has both the ISO 9001:2015 and UNE 166002:2014 certificates that place it at the forefront of research quality and demonstrate its commitment to the quality of its processes.